Martyn Hilbert's Railway Photography - Industrial Locomotives - Drewry Shunter 'Pegasus' at Birkenhead Docks. 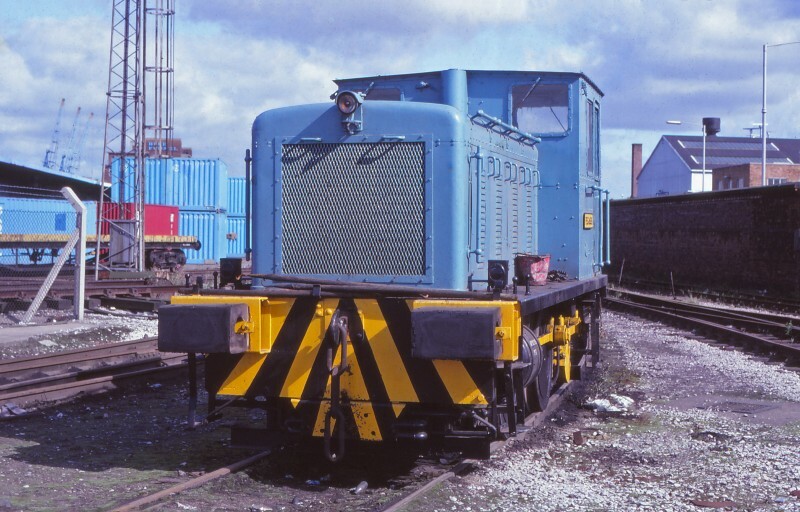 Drewry Shunter 'Pegasus' at Birkenhead Docks. Operated by the Rea Bulk Handling Company, 'Pegasus' a 150hp Drewry 0-4-0 built at Vulcan Foundry in 1949, Works number 2270, was stabled close to the junction of Corporation Road and Duke Street at Birkenhead Docks on August 9th 1981. In the left background are the offices of the Blue Funnel Line and just visible on the left is a bogie bolster wagon, all part the scene of the then busy working port - now all history.